Throughout his lifetime, Alan has performed, built, taught and shared his knowledge of puppets. He has traveled nationwide to attend puppet related events. In his lifetime, he has spent untold hours organizing exhibitions. He takes advantage of any opportunity to meet puppeteers and have a dialogue with them. Whenever possible he would add one or more of their puppets to his collection. 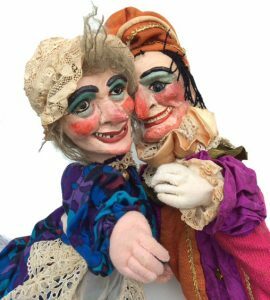 The authors, Jackee Marks and Alan Cook have had a friendship of 45 years, with a common interest – puppetry! Jackee Marks and Alan Cook have joined forces to create the first published book on the Marks/Cook puppet collection. Over two years of collaboration between Jackee and Alan have produced this book, a SMALL sampling of what the collection holds. What gives a person a passion for a subject? Is it their DNA, support from a parent, or maybe inspiration from a teacher? For Alan Cook, it might be all three. Alan began collecting puppet books in high school. Puppet books were his graduation gifts. Alan had more books than puppets because they were more affordable than buying puppets. His history professor at Pomona College gave monetary prizes as an incentive to collect and develop the student’s own personal library, Alan won third prize. 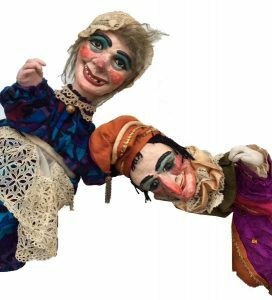 In 1951 the Puppeteers of America Festival was back in California but this time it was held at the Asilomar Conference Grounds in Pacific Grove, near Monterey and Carmel. It was directed by Lettie Connell Schubert. Lettie was an accomplished and well respected puppeteer at this point. She had started in the 1930s in early television and gave Frank Oz his first job, aside from performing with his family. In 1961, along with coordinating the Festival puppet exhibit, Alan had worked for six months to arrange a tour of California by Teatro Nahual, a government supported theater that taught school teachers how to use puppets in the classroom, frequently taught puppet making, and performed shows to entertain and educate the public all over Mexico; they were headquartered in Mexico City. In the decades that followed, Alan found many ways to earn a living in puppetry-working as a performer for various companies, working as an animator-he worked with Art Clokey on the “Davey and Goliath” series-and as a curator of many exhibitions, including “Puppets: Art and Entertainment,” a legendary touring exhibit that was developed for the 1980 World Puppet Festival. In 1982, Alan received the Trustees Award from the Puppeteers of America, recognizing his service to the organization for his role in creating the 1980 exhibit, “Puppets: Art and Entertainment”. At the Congress of UNIMA in 20212 in Chengdu, China, Alan was unanimously voted in as a Member of Honor, joining such internationally acclaimed luminaries as Jim Henson, Sergei Obraztsov, Josef Skupa, Jiri Trinka and Tony Sarg. 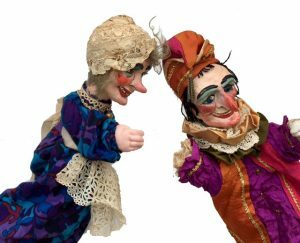 For centuries, Punch and Judy, natives of Great Britain, have been popular performers all over the world. Punch and his cast of characters are represented in the Cook/Marks Collection by two complete sets, built by two well-known Punch Professors. In the late 1800s English Punch puppeteers could make more money at Coney Island than at home. Punch shows were performed mid-century in the California gold fields, and Alan once met an old lady whose father saw such a show there. The appearance of Vaudeville in the 1880s was a perfect venue for puppeteers. It was clean entertainment aimed at families. With more leisure time and more money to spend, an audience was created for novel entertainments. Vaudeville theaters opened around the country, increasing the opportunities for performers, who would move from theater to theater. It was not unusual to perform two or three times a day. A number of puppeteers were active in the last days of vaudeville. Frank Paris performed at the famed Apollo Theater in Harlem, and he was the only white artist on the bill, so Frank was unsure if the audience might feel he was treading on their turf. No problem. The audience warmed to the marionettes instantly. Puppetry can bring people together. 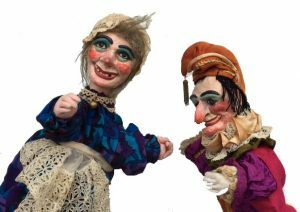 The largest number of puppets in the collection from any single company are from shows created by the Tattermans. 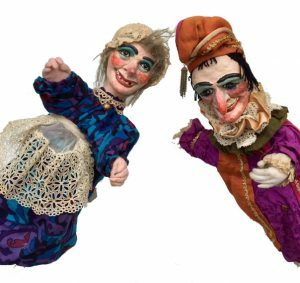 They organized their company in 1922 and started performing, using small marionettes. 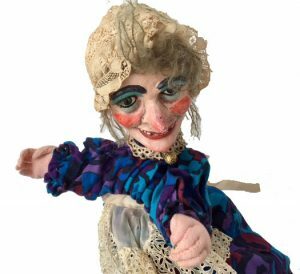 The Tatterman Marionettes performed for thousands of children each year. Their productions were exceptional. The scripts were appropriate for puppets, the figures were well crafted, the costumes were authentic and the manipulation was skillful. The WPA employed professional puppeteers whose job it was to entertain as well as teach puppetry. They had classes for adults and children. Some very impressive puppets were created during this time. Both “Lili” the film and “Carnival” the musical brought puppets and puppeteers into the spotlight of popular culture. Of the four characters in the film, three are in the Cook/Marks Collection and the search for the fourth is an ongoing quest. The musical version of “lili” called “Carnival” included puppets made by Tom Tichenor. 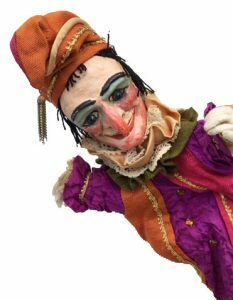 A Nashville native, Tichenor was renowned for his puppet work at the downtown library and on television. While working for Art Clokey, Alan had a chance to go to George Pal’s studio for two weeks to learn some new techniques. Since Alan had never done stop action before, he desired additional experience. Unfortunately, when he asked to go, Clokey fired him on the spot. It was one of Alan’s biggest regrets! Wah Chang was famous for his stop action puppets and special effects. He had a great many film credits to his name. He also designed masks, costumes, sets and make-up for Star Trek, The Outer Limits and Land of the Lost and the original Planet of the Apes. In 1994, he was given the George Pal Memorial Award by the Academy of Science Fiction, Fantasy and Horror Films for his many original design concepts. 1980 UNIMA Congress and World Puppetry Festival. An important part of the overall featival plan was to mount a traveling exhibit about the history of American puppetry for the UNIMA delegates. Ed Nygren, Curator at the Corcoran Gallery of Art, provided the first booking. Alan was appointed project researcher because of his knowledge of puppets and his experience in organizing and implementing exhibits at National Puppet Festivals. It is very difficult for me to single out the puppeteers to be included in this book. I would prefer to include the whole lot. Unfortunately, this is not practical. Part of the motivation in collecting the puppets was my interest in the interconnection of puppeteers as they pass their skills from one generation to the next. The focus of this book is on American puppeteers because I knew many of them personally. I have fond memories of time spent with them in their homes, their studios and at their puppet shows, discussing the art of puppetry.